Biologic differences between men and women result in different reactions to conflict. Normally, men outperform women in seeing a situation from another perspective, but under stress, women outperform men. Culture also influences behavior during conflict. 9. Consider the effects of testosterone levels. Men are subject to daily cycles of testosterone, highest in the morning and decreasing all day. Higher testosterone levels make it harder to back down or compromise. Could this be part of the reason many mediations settle in the late afternoon? It is worth considering when scheduling the starting time for a mediation session. Testosterone also increases when an individual becomes angry, and anger is often triggered by venting. Avoid venting and other emotional outbursts when possible, or at least allow time for hormones to diminish before entering into the settlement phase of mediation. 10. Consider the powerful impact of gender and cultural differences. A study of men from different parts of the country found that southerners were far more likely to take offense from a slight bump than northerners, probably because of the strong honor culture in the south. Some ethnic groups have similar strong honor cultures and feel disrespected by events that others consider inconsequential. Conflict arising from these kinds of cultural differences is more likely to settle if the mediator thinks about culture and explores the underlying causes for the dispute. Men and women typically have very different communication styles and react differently to conflict. Mediators need to think about these gender and cultural differences when exploring underlying needs and interests and options for settlement. 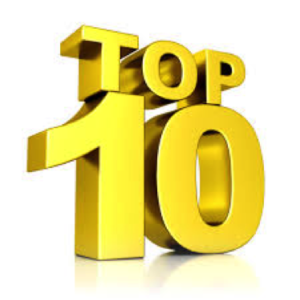 The entire Top Ten List can be seen here.